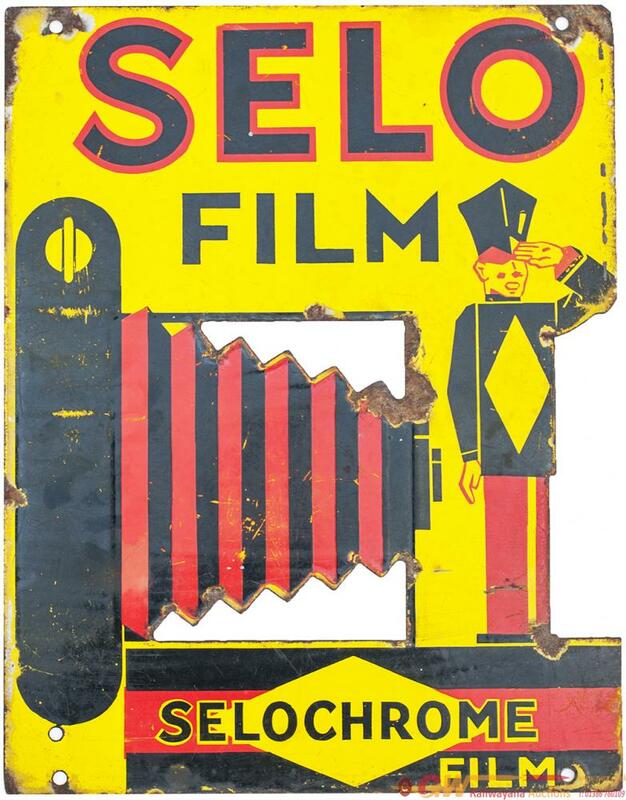 Enamel Advertising Sign SELO FILM SELOCHROME FILM. Enamel advertising sign SELO FILM SELOCHROME FILM. Black & Red lettering on yellow ground, incorporating cut-out of bellows type camera, Double-sided measures 14in x 18in and is in good condition with a few chips.